The last time Minneapolis North defeated Minneapolis South, “The Hunger Games: Mockingjay Part 1” was in movie theaters and “Blank Space” by Taylor Swift was No. 1 on the Billboard Hot 100 chart. It was Dec. 19, 2014. Now, more than four years later, the Polars had a shot to upset the Tigers but fell just short in a 62-59 thriller at Minneapolis South High School on Tuesday night. 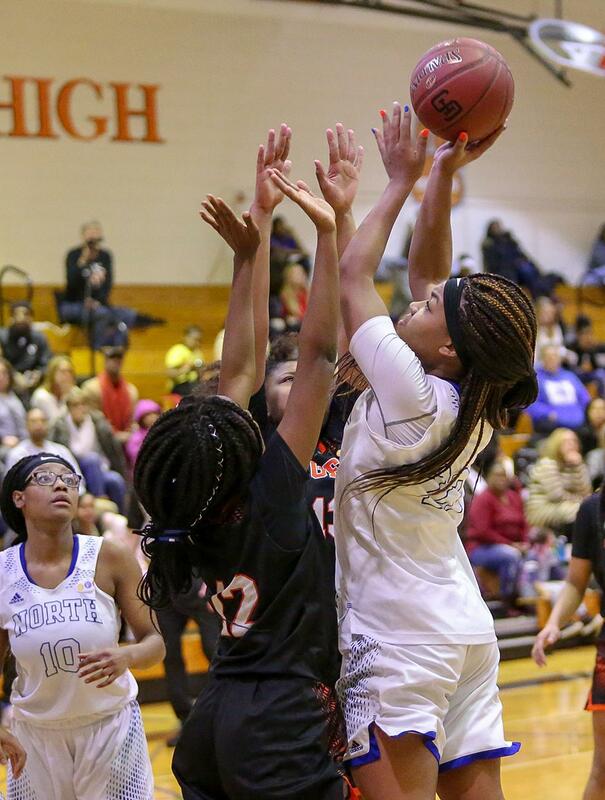 This was the second matchup of the season between these teams, and South won both by a total margin of five points; the Tigers went to North and defeated the Polars 60-58 on Dec. 4. For a while, it looked like the Tigers (11-5, 7-0) were on their way to a comfortable win. Following an 18-8 run, they led 52-36 with just under nine minutes left in the game. But after a few possessions, the Polars woke up, and it started with their pressure defense, which led to South turning the ball over and forcing quick shots. McGuire said the Tigers played as a young team with the lead, and losing control of the pace is what allowed the Polars to stay in the game. The Polars (10-4, 5-2) ramped up the energy in the final minutes, a surge that was led by Alani Pettis. After almost every Tiger turnover or miss, North looked to Pettis to create on offense, and she was successful more times than not. She fed off the energy from North fans and continued to will the Polars back by making shot after shot that routinely came after beating multiple defenders. 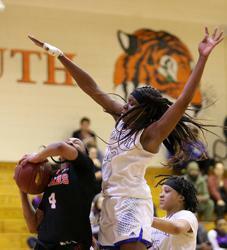 Pettis finished with a team-high 21 points, the same amount she scored in the first matchup against South this season. This all came off the bench, as Pettis didn’t start the game due to what North coach Mike Friestleben call a personal team issue. Her performance near the end of the game was nothing shocking to her coach. “She took over and that’s what we expected from her,” he said. McGuire called Pettis one of the better players in the conference, but it was his star player, Jade Hill, who had the biggest impact on the game. She controlled both sides of the floor for the Tigers, finishing with 22 points, seven rebounds, seven assists and four steals. She also wanted the ball in her hands near the end of the game so she could get fouled and ice the victory at the free-throw line. Dealing with pressure is nothing new for Hill, as she’s expected to live up to the play of her older sisters, Morgan and Tayler, the latter being the No. 3 all-time leading scorer in state history with 3,888 points. “I’m just trying to continue the legacy and play well,” Hill said. Jade is joined by her younger sister, Angel, on this year’s South team, keeping the Hill bloodline in Minneapolis, which makes McGuire thankful. 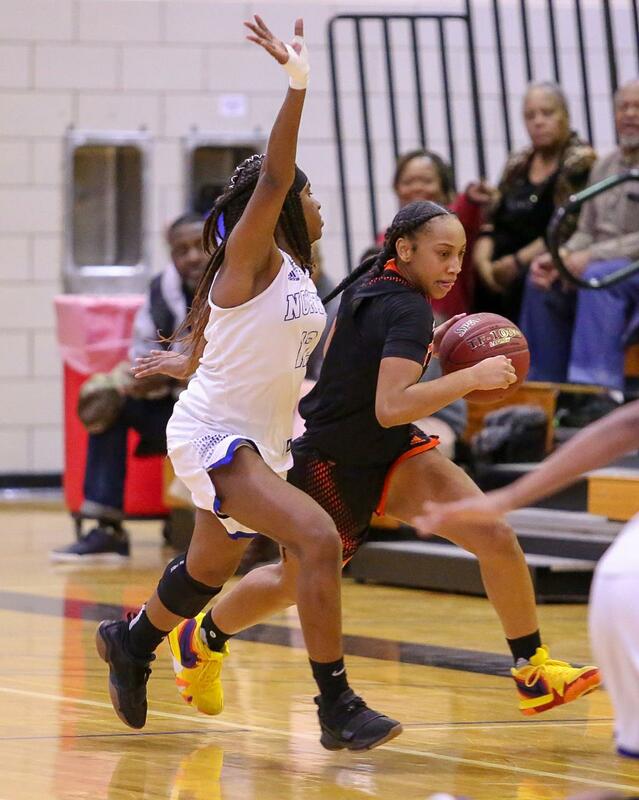 Minneapolis South continued its run of success against Minneapolis North on Tuesday night, surviving a late surge from the Polars to secure a 62-59 home victory. The win keeps the Tigers (11-5, 7-0) undefeated in the Minneapolis City Conference while extending their lead in the standings to two games. South (10-4, 5-2) was plagued by slow starts in both halves, as it trailed by as much as 17 in the first half and 16 in the second. 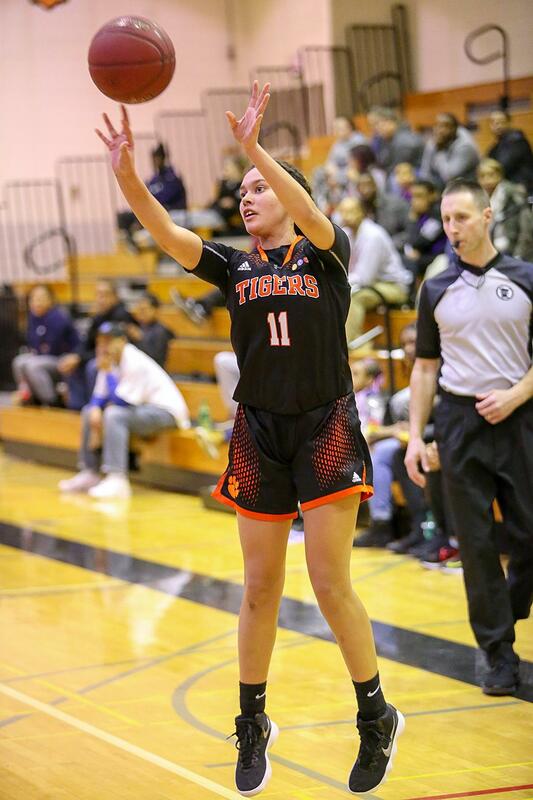 The Tigers were dominant on both ends of the floor during those runs, led by Jade Hill who finished with 22 points, seven rebounds, seven assists and four steals. The Polars fought back by creating turnovers with pressure defense, and from the stellar offensive play from Alani Pettis. Pettis carved through South’s zone defense with ease in the final minutes of the game, working from the center of the zone and gliding by defenders on her way to the bucket. She had 21 points, eight rebounds, three assists and two steals. The Tigers closed out the game with clutch free throws from Hill. The Polars had a chance to tie it at the buzzer, but a long-range three from Pitts hit the iron, securing the win for South. With the loss, the Polars haven’t beaten the Tigers since 2014, giving them nine straight losses to their rivals.